He's THE BOMB!! AS OF FEBRUARY 2019, BOMBER KIDS HAVE GARNERED 44 BANNERS!!! The WHOLE PACKAGE... consistency, fineness, density, in beautiful rose grey. 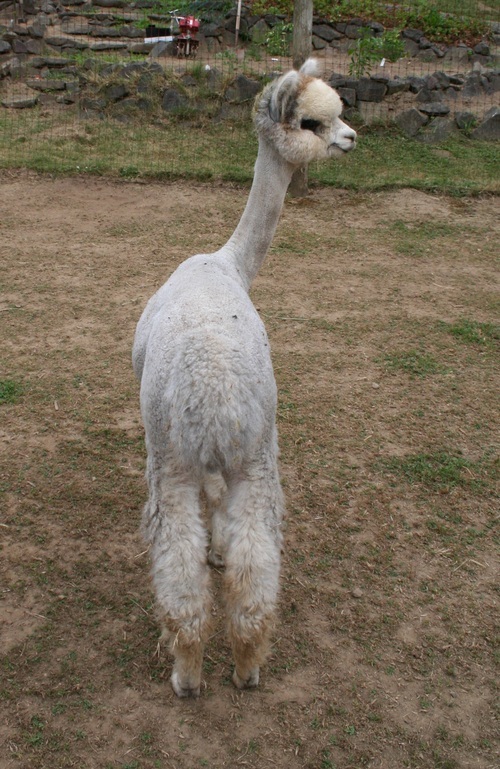 Bomber's sire, Aussie .38 Special, is one of the premier grey herd sires in the US. Bomber is the best of the next generation. His dam, Beatriz, can safely be called an impact dam. All of her progeny have Color Championships. Bea maintains a 24.3 AFD/3.9 SD and 15.9 CV at age 12!!!! This girl produces GORGEOUS babies. Two of them, both females, have been sired by Bea-2 Bomber. At 7, Kerfuffle still has, luscious rose grey fiber, beautiful conformation and the face of a bandit. BLOSSOM'S SECOND HISTOGRAM JUST IN (20 MONTHS) ESSENTIALLY UNCHANGED FROM HER FIRST! 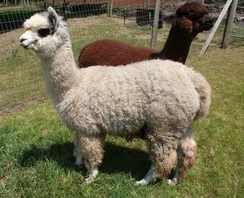 At her first full shearing (20 months) she produced 3# of fiber from her blanket. 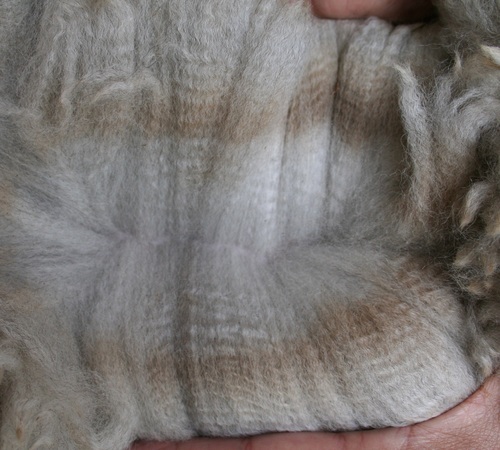 Blossom's service sire, Patron, just added to his ribbon cache... taking CC Cottage Fleece and Judge's Choice at the 2018 AOA National Fleece Show! 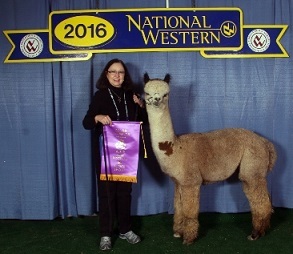 Patron is a gorgeous rose grey, 12X Color Champion, including 2017 National Fleece Champion, besting our own, Pearly King (Bomber son) who took RCC at the same show. Our motto? Combine the best to the best!!! And we feel that this breeding will result in an incredible cria!!! 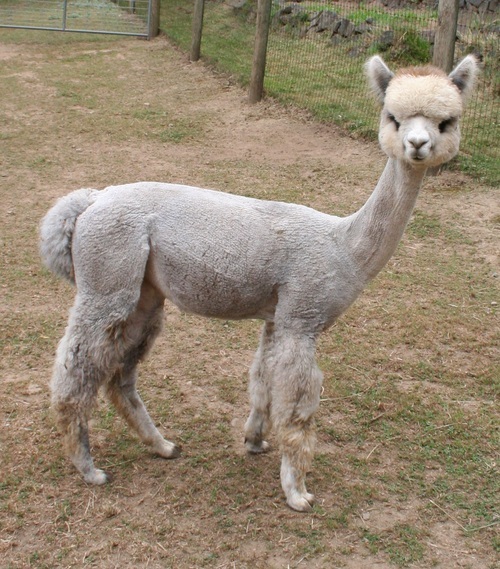 Blossom is a beautiful, light silver female out of two rose greys, multi-chanpion, Annual's Bea-2 Bomber and ribbon winner, Alpine's Kerfuffle. This is their second pairing and another home run for these two! Blossom is beyond darling, and boy is she her daddy's daughter, only clad in silver! 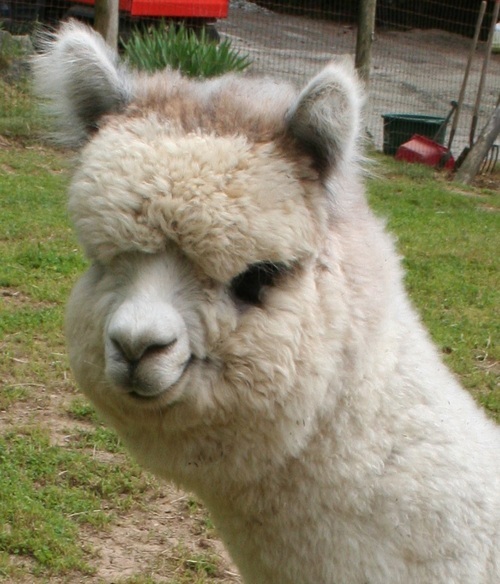 She has a lovely, bright, consistent, fine, crimpy fleece. She has a spotless blanket. We did recendtly find a small spot on the back of her head, between her ears. Aside from this one, she's virtually spotless. Blossom's conformation is spot on and she has a darling head! She has a patient, sweet personality, with just a touch of charming mischief. And, what a flirt! By the way, did I mention that as of 2018, Bomber's kids have garnered 37 banners, including 2 for our own Pearly King and 1 for our Dusty? Cash for all purchases $1,000 and under. Purchases over $1,000 financing up to 12 months, with 33% down. These terms don't work for you? We will help you work out flexible terms to fit your business plan.